Simplify the way you think about social advertising. 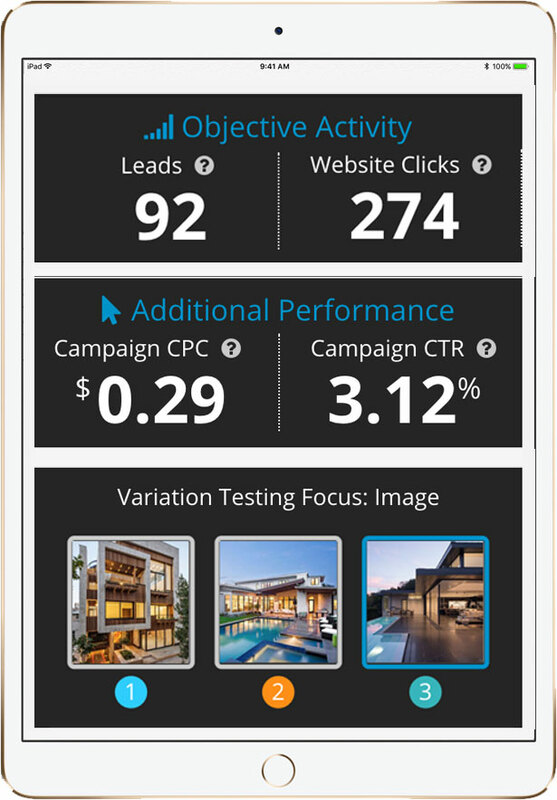 We’ve built a platform that creates informed, data-driven advertising campaigns to help you get the highest revenue impact from your ad spend. We don’t waste your money on ineffective content. We don’t waste your money on ineffective content. 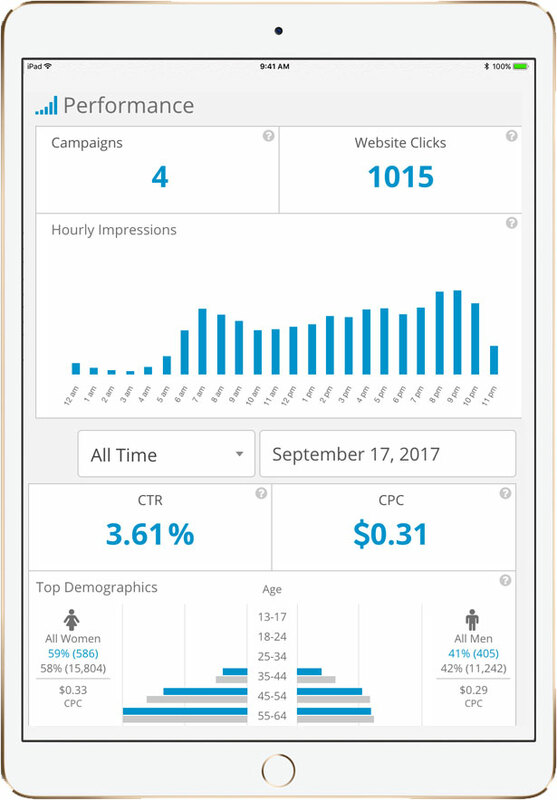 Utilize a platform that creates informed, data-driven advertising campaigns to help you get the highest revenue impact from your ad spend. We don’t waste your money on ineffective content. The right person, the right content, the right time. 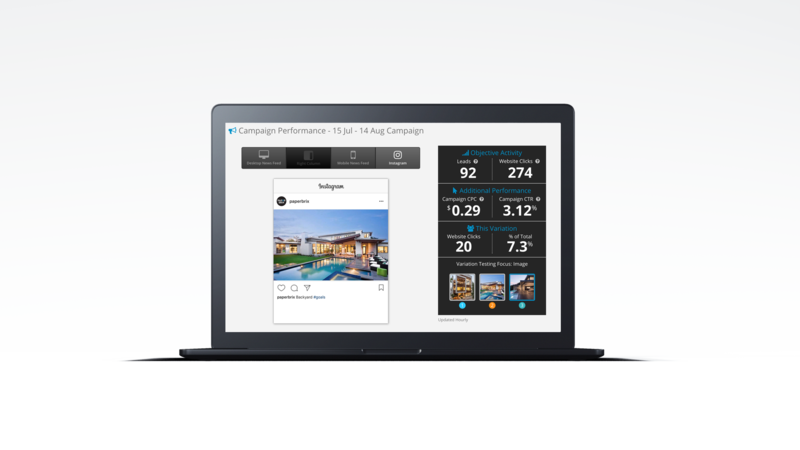 Quickly get a feel for how your social content is performing with a simplified overview of the most important statistics within your campaign. Armed with this data, you can make informed strategic decisions that have an impact on your business. Craft your media, build your business. 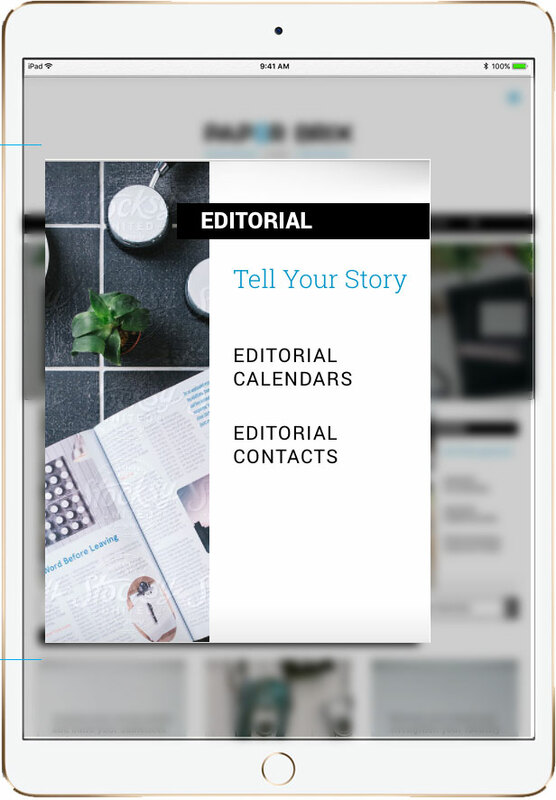 Editorial calendars and contacts, award submission schedule, event calendars, media kits, and more—we empower you with the information you need to take control of your marketing, all organized into a simple online interface. Buy media based on your social success. Using data we collected from your social ad campaigns, we find a demographic match between traditional media and your social success. Translation: we take the guess work out of buying media. Know where you should buy media based on your social success. Get connected with the most relevant print and online journalists who can tell your story. We give you access to our targeted list of media contacts so you can pitch your story to the people who matter. Don’t know how to pitch? We can help with that too. 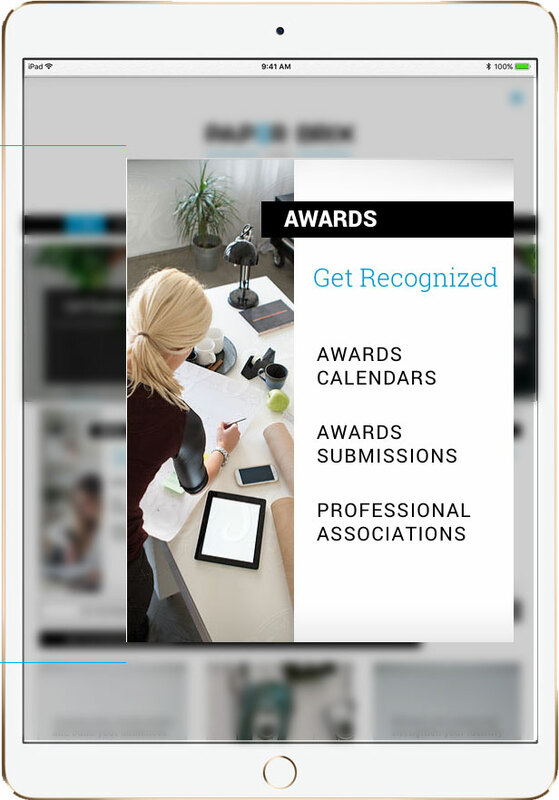 Align your brand with awards and events that make sense for you. Think of Brix Insights as your one-stop-shop for trade show schedules, events, award submission deadlines, and more within your region and around the world. Think of Brix Insights as your one-stop-shop to get informed on trade show schedules, events, award submission deadlines, and more within your region, nationally, and internationally. 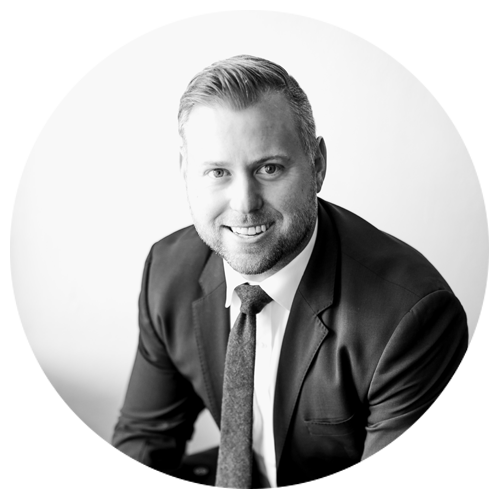 "PaperBrix has been instrumental in helping us to identify who our clients are and gets us in front of them. 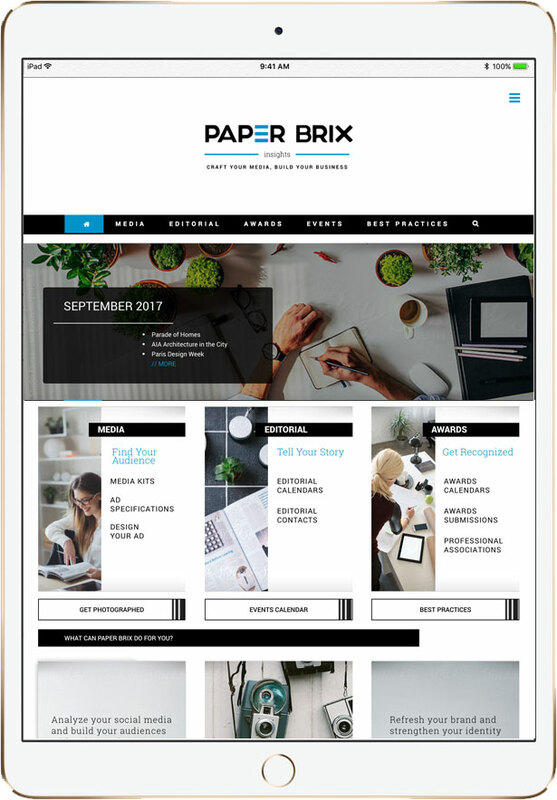 For the first time we know what potential clients are responding to (visually)"
PaperBrix seeks to change the way our industry thinks about marketing. 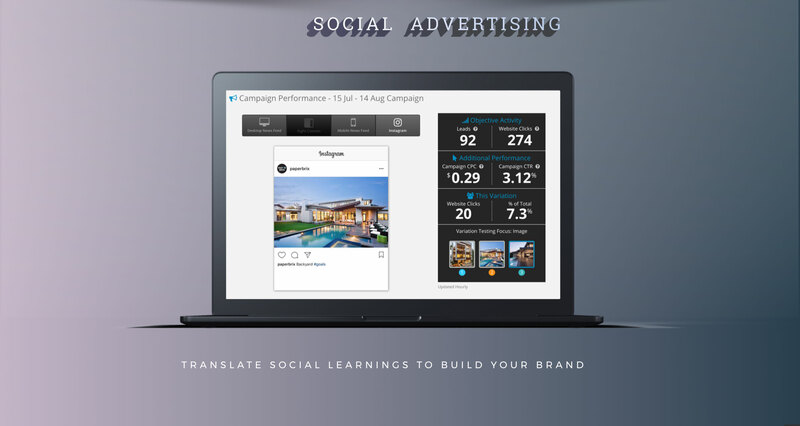 A way to navigate the complicated worlds of social media, public relations and advertising easily and effectively to create a brand that’s relevant and enduring. We are creatives, innovators, editors, account managers and happy client-makers. A family of data-driven thinkers and design lovers, united in giving our clients the tools they need to achieve success in the digital age. We’re a small team that works together seamlessly. We love what we do and our clients love it too. 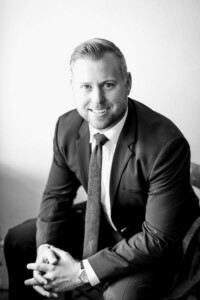 Barrett has spent the last two decades offering his sales and business savvy to national magazines and agencies across the country, specifically in the luxury home industry. He maintains the philosophy that what he sees in his head he can and should attempt to manifest, no matter the challenge. Fiercely passionate about client relationships, Barrett started PaperBrix as a solution to a problem: to un-complicate the tools his clients need to be successful in the digital age, namely social media advertising. Though never really off the clock, after hours you’ll most likely find him spending time with his wife Niki chasing around their two-year-old pride-and-joy Peyton. 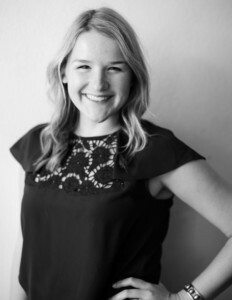 Cara loves bringing order to the creative chaos of a digital start-up. An Austin native, she previously worked in the gas and chemical industry as an engineer before joining PaperBrix in 2016. She adores the team we’ve built and the creative people she works with every day. 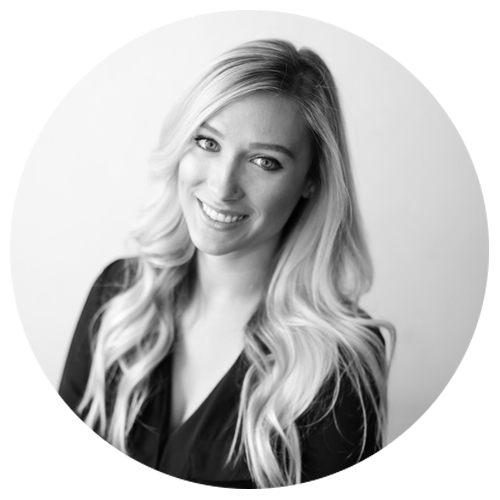 She is fueled by the incredible results and brand evolvement we have seen within our client base. On weekends, you’ll find Cara with her husband and two kiddos (and a glass or two of red wine). A Dallas native, Kat cut her teeth in sales in magazine publishing, specifically in the luxury home design industry, before coming on board at PaperBrix. 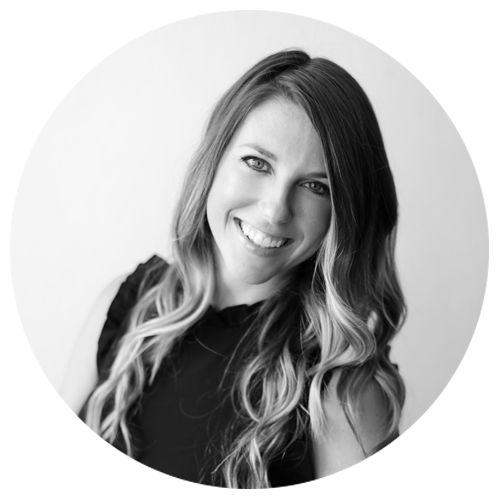 Her sales prowess has grown into a deep-rooted passion for helping clients develop more effective and cohesive marketing across platforms. A wanderer at heart, Kat has traveled the globe. In fact, her wanderlust inspired her to pursue her (delicious) side hustle: Wander Life Creamer. Off the clock (and sometimes on), you can spot her on a restaurant patio with her husband James and dog Kitty. 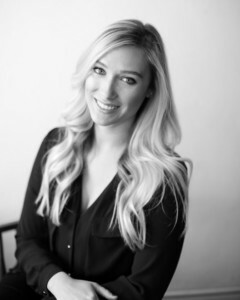 Mimi moved to Austin from New York City in 2015, joining PaperBrix (over a glass of rosé) in our equivalent of the stone age with only three clients and a big dream. 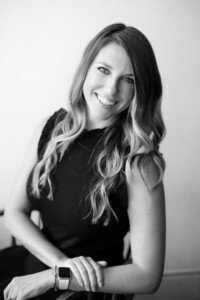 She started her career as an editor in shelter magazines, and continues to write and produce stories for national interior design publications, both in print and online. She’s a storyteller and wordsmith and loves to translate the often-complex visions and ideas of our clients into cohesive narratives that reflect their personality and voice. When she’s not writing, she’s probably enjoying overpriced margaritas with her (super handsome) fiancé Cory. 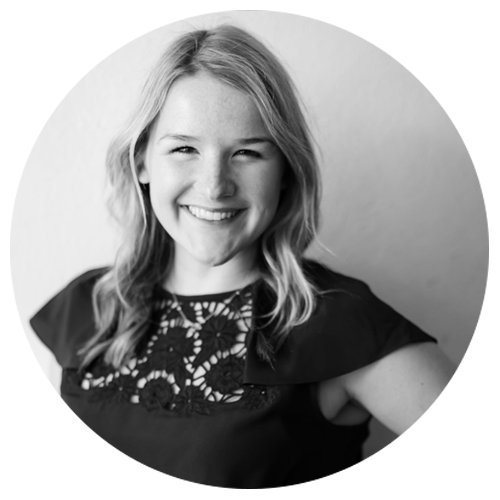 Emily is an expert relationship builder and organizer of all things. 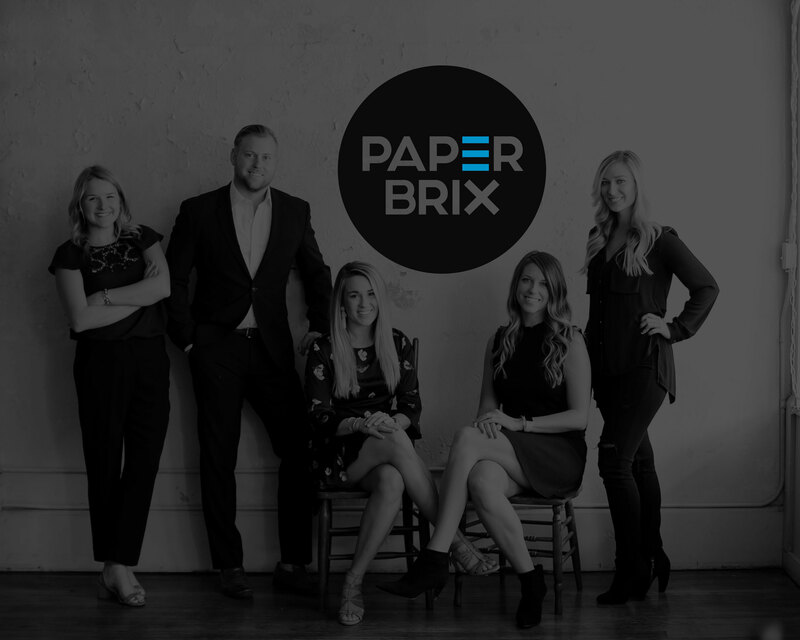 She’s worked in account management in the luxury housing publishing industry for the past four years, and continues to do the same at PaperBrix. 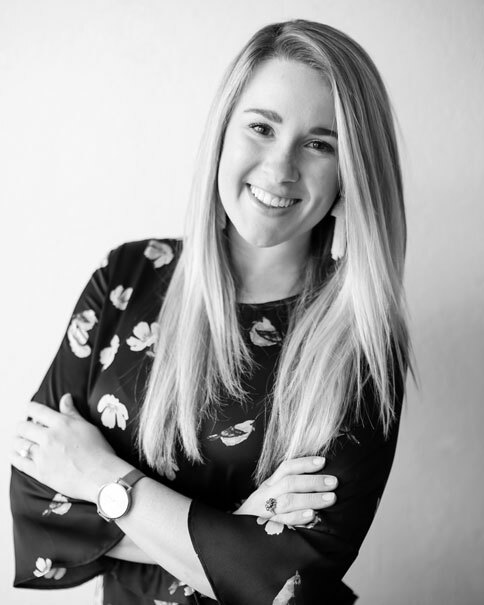 She is passionate about offering clients approachable insight into the digital world that’s not typically available to them. 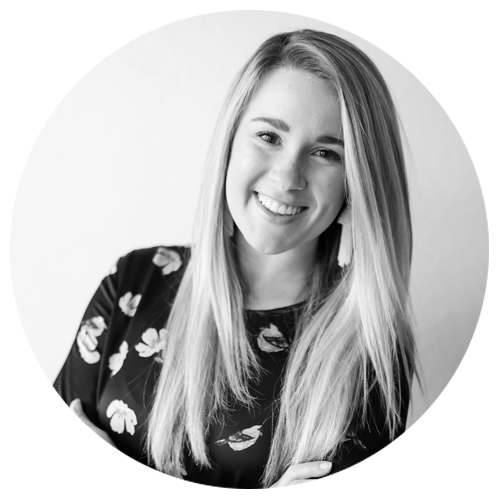 When she’s not nurturing client relationships, she designs and builds custom pieces for her furniture company: Fry By Design. The rest of her energy goes towards being mama to her two golden retrievers, Tucker Danger and Sammy Taco. Choose what makes sense for your brand. 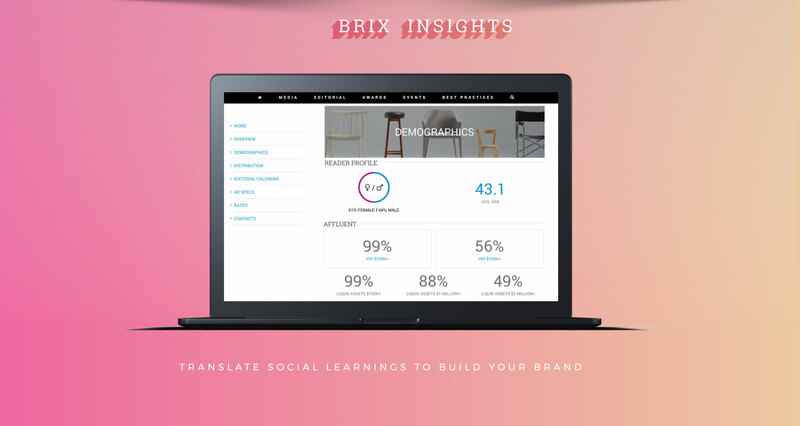 We developed Brix Social to create informed, data-driven campaigns that drive business results. We build custom audiences and use an algorithm that optimally configures your ad campaign before using any of your budget, and auto-adjusts spend based on the data collected. We get to know you, and help translate your complex brand vision into a cohesive narrative, whether on Facebook or Instagram, your website and marketing collateral, or across industry communication. 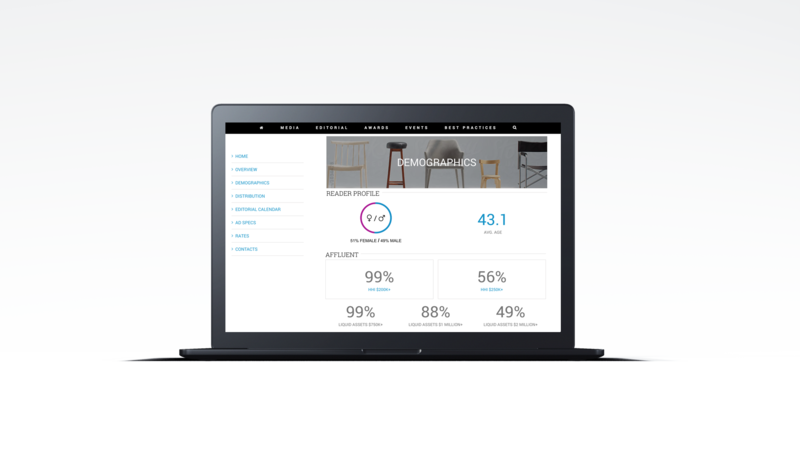 Our reporting dashboard gives you a full understanding of your local awareness, web traffic, and time savings. We also report effectiveness of various ad types, which ultimately generates leads, sent directly to your inbox. 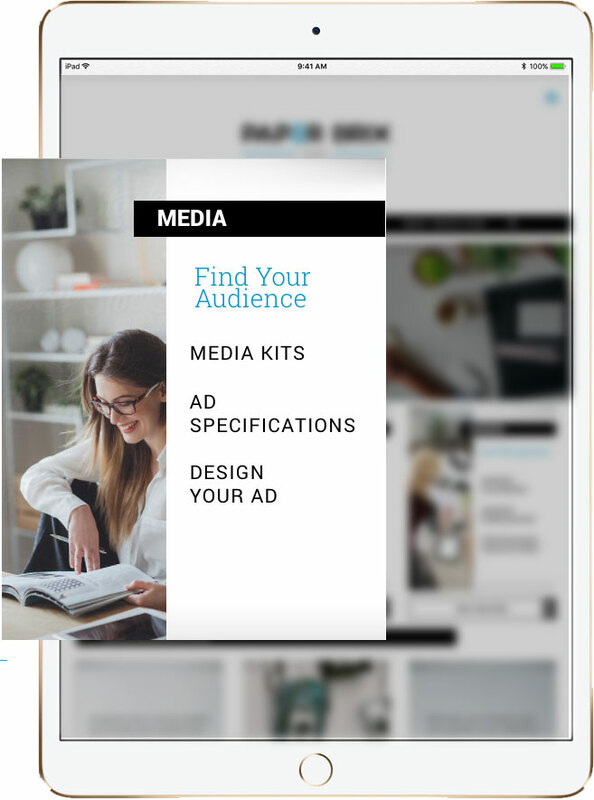 Editorial calendars and contacts, award submissions, event calendars, media kits, and more—Brix Insights empowers you with the information you need to take control of your marketing, all organized into a simple online interface. Dive into our comprehensive library of the latest industry best practices to get educated on the ins-and-outs of social media and public relations. We cover everything from using hashtags effectively to submitting a press release, in one interactive interface. Our team of web developers designs and creates websites that allow you to tell your brand’s story beautifully and effectively. Set yourself apart with a professional landing page for your future clients. Have we met? We are currently only working with a curated group of Boutique Brands. If you’re interested in empowering your brand or being inspired, please drop us a line. This is used to reply to your inquiry. Feel free to leave us your phone number in the message below if you'd prefer to be contacted that way.